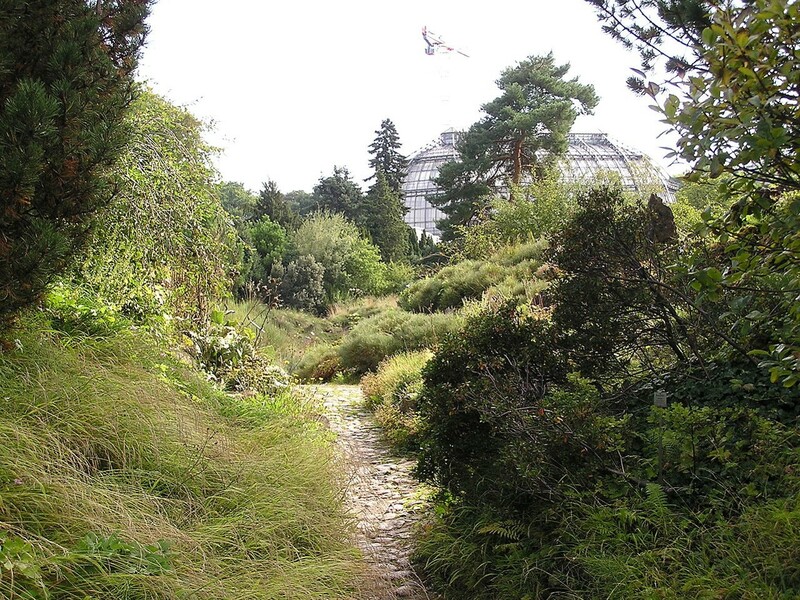 The 31st annual meeting of SPNHC was jointly hosted by the Museum fur Naturkunde (Leibniz Institute for Evolution and Biodiversity Science) and the Botanic Garden and Botanical Museum, Berlin (Freie Universitat Berlin). The GGBN conference on genomics ran in parallel with a joint opening session, trade show and dinner at the Botanical Garden; in all there were probably around four hundred delegates. The venue was Hotel andel’s with its substantial conference facility, on the northeastern side of the central part of the city. Unlike the five other SPNHC annual meetings I’ve been able to attend, on this occasion, the conference poster, trade fair and presentations and most of the delegates (other than those of us who sought out cheaper accommodation) were based on one site. That this was not a museum did feel a bit strange. Evening networking was aided by some great organised activities – a pub quiz at a beer garden in Spandau, a bicycle tour of the city centre (including a stop at the reconstructed section of the Berlin wall) and a meal and dancing at the Botanical Garden. Museum tours were available in conjunction with the icebreaker session on the Friday afternoon. The main conference ran from midday Tuesday to midday Friday. The extensive poster display was located within the trade fair and lunch venue so was easy to access. Voting slips and prizes for the best posters encouraged delegates to engage with this part of the conference. Unfortunately, I was not able to stay for the weekend of post-conference workshops or enjoy any of the pre-conference trips. A view within the Botanic Gardens, Berlin. (Mauruszat, 2006, image in public domain). My reason for attending was to update my knowledge of digitisation and find out what other natural science museums had tried out and succeeded within this field, as well as to promote the geology collection digitisation project at Ludlow Museum via a presentation. I therefore attended mainly imaging and digitisation sessions. Sessions covered preventative conservation, iDigBio, SYNTHESIS, GBIF, collections for the future and the Green Museum theme. By Thursday, in order to accommodate the large number of practitioner presentations, the number of parallel sessions and different themes became rather overwhelming. Although sessions largely kept to time allowing delegates the option of planning a ‘play-list’ of presentations to attend, the number of concurrent sessions, late nights, 8.30am starts and possibly also the acronyms, meant that audiences were a little sparse in some sessions. At 200 pages long, the conference publication contained the programme, normal length abstracts of the posters and something I’ve not come across before; two or three page short papers complete with illustrations and references for most of the oral presentations. This has allowed me to check back, post-conference, on what it was that I missed. However, it was really rather too dense to absorb during the meeting itself. Highlights – as ever, the multidisciplinary nature of SPNHC meant that people from all branches of the natural sciences and all museum roles were at the meeting allowing for a rich free flowing of ideas. Paul Mayer of the Field Museum Chicago presented on how digitisation tamed the Tully monster, describing how in three weeks, digital images taken in low angle and polarised light of 1305 specimens in siderite nodules from the US Mazon Creek Formation, Westpahlian D, were used to identify the frequency of morphological features. The result was the classification of a creature, well known from specimens (and presentations at at least two previous SPNHC meetings) but until this project, un-classified, as an Agnathan fish. This really jumped into focus standing next to Paul looking at hammerhead sharks in the fluid collection gallery on the Museum tour. Personally, I was also able to catch up with friends and former colleagues from across the world, some of whom I haven’t seen for more than a decade. Presentations ranged from the cutting edge and erudite, through practical solutions, to the wicked issues of collections management. I learnt that babies could be carbon positive if nappies were cellulose based and recycled into compost, that the synthetic black delegate bag was probably the least green thing about the conference and that as well as benefiting biodiversity, garden based agriculture was far more efficient than large scale agribusiness. In a twist on the usual apes and human statistic, I was pleased to hear that Homo sapiens and elephants share 70% of the same DNA. I was also taken back to a task I was allocated in 1988 by ‘a rock is just a rock if it has no data’ in a presentation covering the rationalisation and curation of university Ph.D. research collections. I was pleased to hear that tight climate control in museums is slowly coming to be recognised as potentially damaging due to rapid fluctuations around the set point, unnecessary and too expensive to operate. In the refurbishment of the upper floors of the Museum fur Naturkunde it is also deemed to be un-affordable. The solution developed in the fluid collection gallery is cooling of the gallery walls with buried pipes routing chilled water, and in the upper floor areas currently being refurbished, a sorbent earth based render and plaster wall finish (described as loam) which will serve to buffer extremes of relative humidity. The pressure to use resources effectively (including the knowledge and ideas to achieve this) was a common theme across all types of museums present at the meeting, with austerity worldwide a key driver – a very different feel to annual meetings I attended early in my museum career where good practice (but also a degree of one upmanship) was the main driver and financial considerations for larger institutions didn’t really come in to it. Humans and elephants share 70% of the same DNA. (Franklin, 2005, image in public domain). The SPNHC business meeting included a well-deserved award to David Pinniger for his work in developing Integrated Pest Management systems for museums. It also provided the opportunity to showcase the venue for SPNHC 2017 (Denver, Colorado) and for the team from Otago, New Zealand to present on their proposal to host the meeting in a few years’ time. Organising a SPNHC annual meeting and conference is a hugely complex process. This meeting was one of the biggest natural history meetings I have ever attended, so must have been especially difficult. Congratulations must go to the local organising committee, I hope they enjoyed a well earned rest before getting back to their museum jobs. I would also like to thank the Friends of Ludlow Museum for supporting a significant part of the cost of my attendance at the meeting from the FISH digitization project funds and NatSCA for a training bursary.